An unexpected visitor enters the lives of two grieving parents to help them remember the joys of Christmas. One of the best Christmas Stories was “A Christmas Visitor” with William DeVane. I haven’t seen it in two years. Please show it again. Would love to see that sentimental movie. Shows what Christmas is about. A Christmas Visitor is the best movie Hallmark has !! 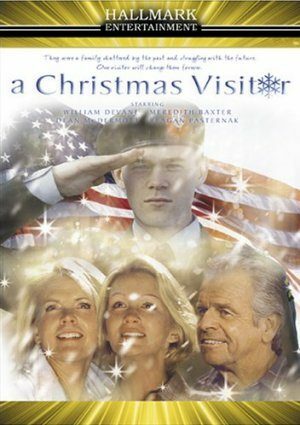 I have been trying to find the schedule for the movie “A Christmas Visitor” and can’t find it. I have missed it 2 years in a row so I am getting an early start on looking and I still can’t find it. Can anyone tell me what day and time it comes on? Thank you Hallmark Channel for the wonderful two months of Christmas movies. The actors were some of my favorites and the story themes heart warming. I look forward to spending many hours next year with the Hallmark Channel. My boyfriend saw this movie and told me its a good. Now i want to see it,But i saw that it wont come out anymore this christmas so u miss it. I hope they decide ti show it again.